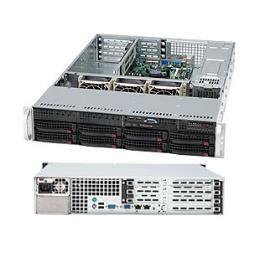 Acme AGD-208TF 2U Opteron 6200/6300 server. AMD Opteron 6200/6300 with 2U rackmount black. 3 of PCI-e x8 slots. Option to upgrade to 4 PCI-e x8 slots. 2U RackMount case with 560W power supply. 8 of 3.5" HDD bays, SAS/SATA hot-swap, backplane included. 1 slim DVD bay, 2 hard drive bays. * suggest to add a 8-port HDD controller (RAID).